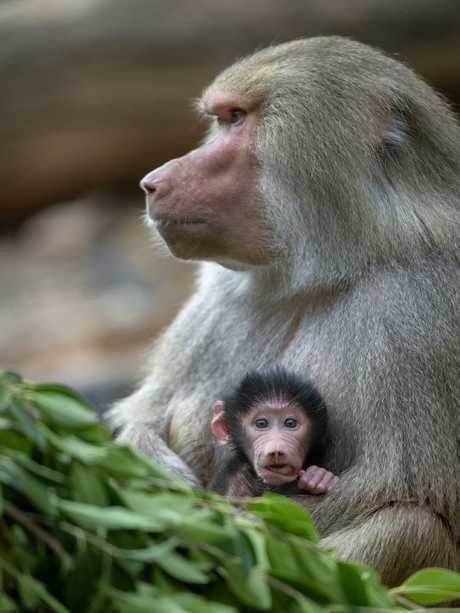 The baby Hamadrays Baboon was born in the early hours of August 25 to third-time parents Chappi and Horus. 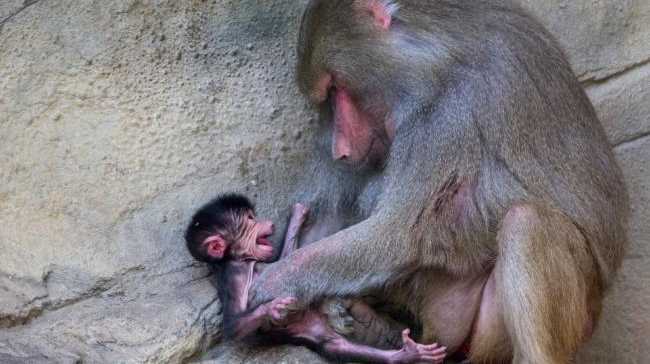 THE Adelaide Zoo has been struck with more tragedy, after a newly born baboon was found dead. But on Wednesday keepers noticed that the male infant - who was soon to be the subject of a naming competition - was not moving and had died. Adelaide Zoo director of life sciences Phil Ainsley said the cause of death was yet to be determined. "The mum was still holding it," he said. "Chappi the mother still has the infant, with juvenile baboons for the first three weeks they are constantly held by the mother. "So that is still the case even though the infant has unfortunately passed. 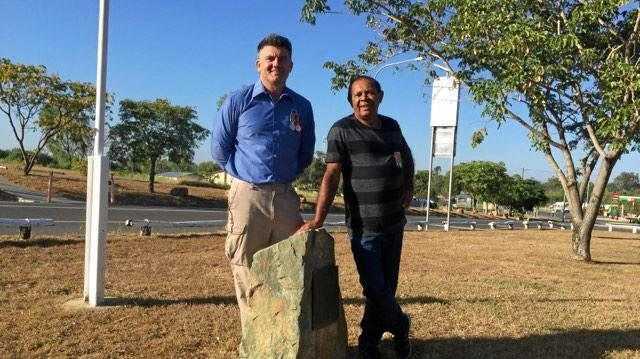 "As soon as Chappi lets it go then we can retrieve it and we will be able to do the post mortem." The baboons at the Zoo have been cordoned off from public viewing in light of the death of the infant. "We are just making sure that Horus and the troop are OK," Dr Ainsley said. "Baboons are very social complex creatures so we are just focusing on ensuring everything is OK with the troop." Over the past two years the Zoo has experienced its fair share of death. This includes Australia's oldest Sumatran tiger, Kemiri aged 22, the oldest male Sumatran in the country, Tuan 19, the 34-year-old orang-utan Karta just hours after giving birth to a stillborn baby, Australia's only sloth Miss C, Yizi the 16-year-old lioness and earlier this year the beloved Chile - the last flamingo in captivity in Australia who was in her 60s. Dr Ainsley said the loss of the animals had hit hard but there had been plenty of new lives joining the Zoo as well. "Part of running a zoo means there are always births and deaths," he said. "We've had some long-term residents pass away but we have also welcomed some new ones that we are really excited about." And maybe this could finally be the year when the zoo's giant pandas Wang Wang and Fu Ni finally breed. Dr Ainsley said the Zoo was optimistic that after years of unsuccessful breeding and artificial insemination attempts their luck could change. "Hopefully this might be the year," he said. "We always look forward to panda breeding season it's a very exciting time. "We are optimistic that we will have a better season than previous ones." The Zoo is trying to keep the pair, the only giant pandas in the southern hemisphere, after their deal with the Chinese Government to house them expires in November next year. January 2017 - Sumatran orang-utan Karta dies hours after giving birth to a stillborn infant. June 2017 - Australia's oldest tiger Kemiri euthanised following arthritis and kidney issues were judged to affect her quality of life, and Australia's last sloth Miss C also put down after age-related health issues. July 2017 - World's oldest female hippopotamus dies at 49. September 2017 - African lioness Yizi dies following a procedure to investigate why she was growing a mane, a rare phenomenon for a lioness. 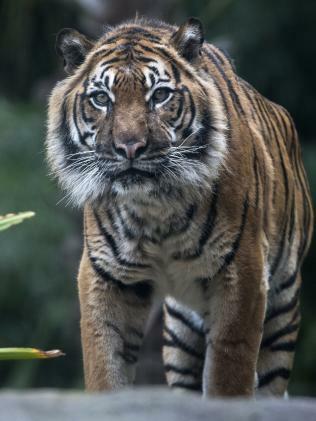 November 2017 - Oldest male Sumatran tiger in Australia Tuan dies at 19. 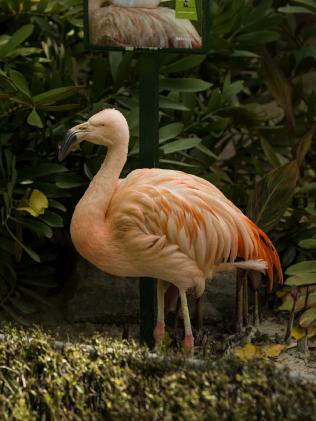 April 2018 - Chile, the last flamingo in captivity in Australia, dies in her 60s.